Bowery Meat Company is a meat-centric restaurant from John McDonald with Chef/Partner Josh Capon. New York Times gives BMC a 2-star "critics pick" review. Peter Wells recommends: Broiled oysters; foie gras and chicken liver parfait; zucchini carpaccio; bitter greens salad; duck lasagna; lamb chops; veal chop; cheeseburger; côte de boeuf; sour cream and onion hash browns; s’mores sundae. Dinner only, beginning 5pm. More Reviews: New York Observer, Tasting Table - and New York Magazine. And, New York Post Table-Hopping. BMC's sommelier has curated a deep and thorough list from around the world that is sure to pair up with any meal possible while at Bowery Meat Company. Our private dining room seats up to 40 guests in a variety of table configurations, and accommodates up to 50 for standing cocktails. Executive chef and sommelier have created a variety of menu options and can further customize upon request. For large event occasions of 125-150 guests, BMC is available to host your party with a range of options and our lounge is available for up to 16 semi-private. 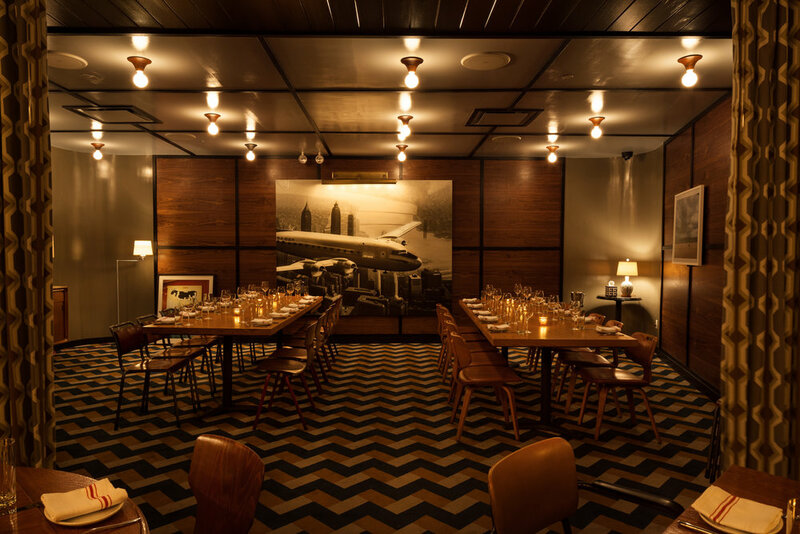 Bowery Meat Company is happy to offer lunch buyouts for corporate or personal events.